Aluminum, the most abundant metal on the earth’s surface, is derived from the mineral bauxite ore. We here at Jaydeep Steels are recognized manufacturer, supplier and exporter of high-quality Aluminium Sheets & Plates which have properties like good corrosion resistance, high reflectivity, a good conductor of heat and electricity, non-toxic, easily recycled, etc. Aluminum Hot Rolled Sheets Plates are formed by alloying the predominant metal, Aluminium. They are used in the shipping industry, automobile industry, chemical industry, etc. Aluminium Cold Rolled Sheets &Plates are formed by rolling the metal at temperatures low enough for strain-hardening to occur, thus giving it a smoother final surface and different tempers, as compared to hot-rolling. 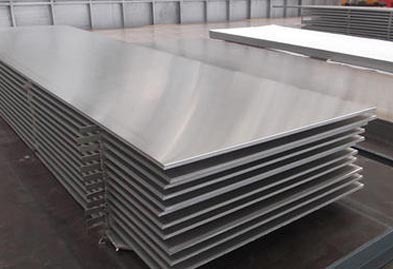 Aluminium Galvanized Sheets & Plates are created by two methods called hot-dip galvanizing process or cold galvanizing (fusing the aluminum surface with zinc), thus protecting the sheets and plates from oxidation, corrosion, acid-rain, salt-water spray, etc. Aluminum Polished Sheets & Plates can be created in many ways like chrome-plating, electro-polishing, or just by using sandpaper. These have the advantage of having a mirror finish and high light reflectance and are used in lighting systems, technology, and designs. Aluminum Perforated Sheets are commonly used in interior and exterior design, and have various kinds of punches like holes, patterns, etc., on them to give them an aesthetic appeal. 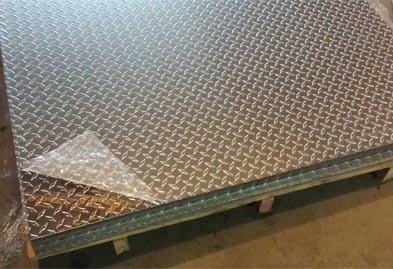 Aluminum Chequered plates are found useful in decorating, shipbuilding, and architectural applications. They are available in different patterns like short and long rice shaped patterns, strip-shaped projections, and staggered long rice shape pattern. Since many years, we are dealing in all sorts of aluminum sheets and plates products with a different range of sizes, wall thickness and dimensions to cater all needs of industries at most competitive prices. Call us now and request a free quote! Jaydeep Steels stocks a wide range of materials and grades. Below are a list of all standard aluminum sheets and plates materials and grades we stock. Our experienced team of metal experts will get you the metal you need when you need it. Call us today for your Aluminum Sheet & Plate Needs!